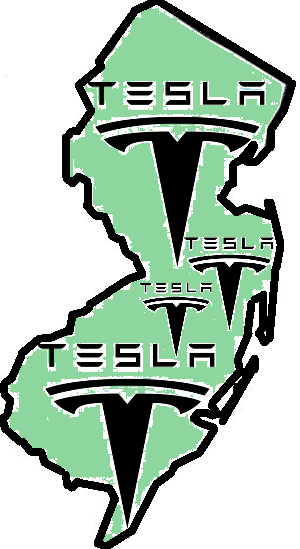 A NJ Assembly committee had a hearing today, June 5, on a bill that would allow Tesla and other makers of Zero-Emission Vehicles, to sell directly to the public, until ZEVs reach 4% of the total market. Back on June 5, the New Jersey Assembly Consumer Affairs Committee held a meeting at 11:00 AM in Committee Room 13, 4th Floor, State House Annex, Trenton, NJ. They discussed a bill that will permit Tesla and other makers of Zero-Emission Vehicles (ZEVs), to sell directly to the public, until ZEVs reach 4% of the total market. After a discussion that was overwhelmingly in favor of the bill, the committee voted to move it to the floor of the Assembly. I was surprised to learn that, originally, car manufacturers sold directly to consumers, and it was only later that the current system of independent dealers was instituted. Also, the last-founded U.S. auto manufacturer to survive for the long term was Chrysler, in 1928. One theme that kept on recurring was that car dealers are not genuinely interested in selling electric cars. They often steer buyers to conventional ICE cars. Perhaps they still want to revenue from servicing what they sell. My own experience is that they do a really poor job at that. The original version of the bill can be found at http://www.njleg.state.nj.us/2014/Bills/A3500/3096_I1.HTM. Plug In America's petition in support of this bill can be found at http://action.pluginamerica.org/p/dia/action3/common/public/?action_KEY=15795.